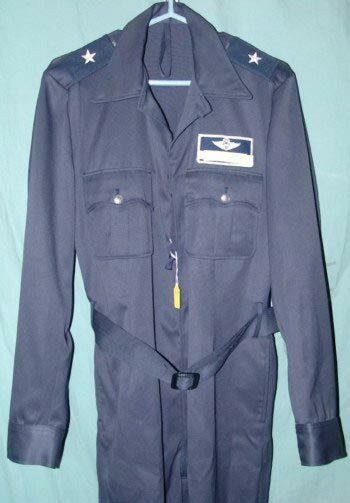 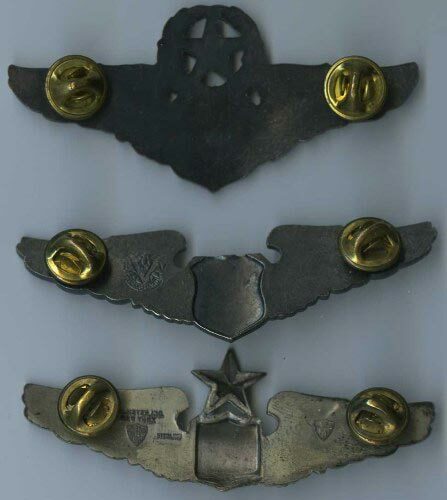 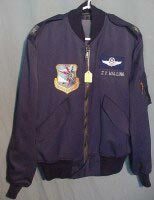 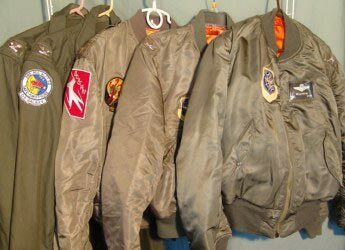 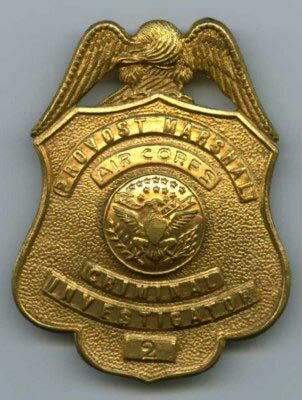 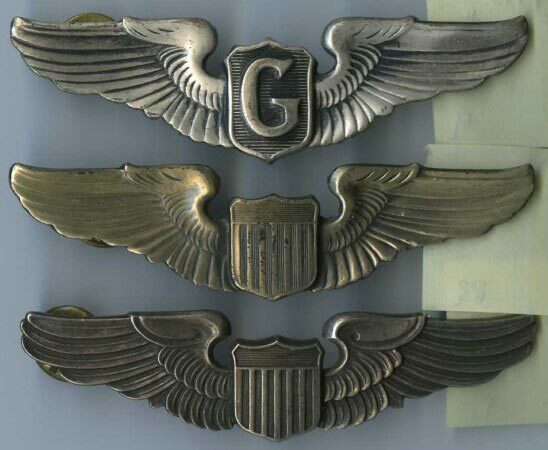 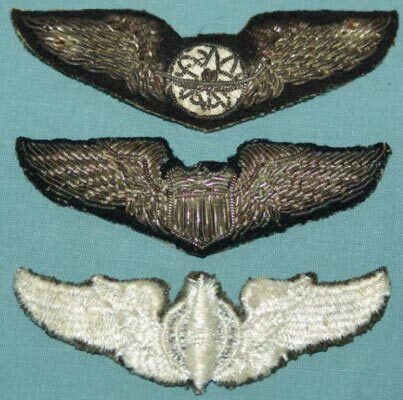 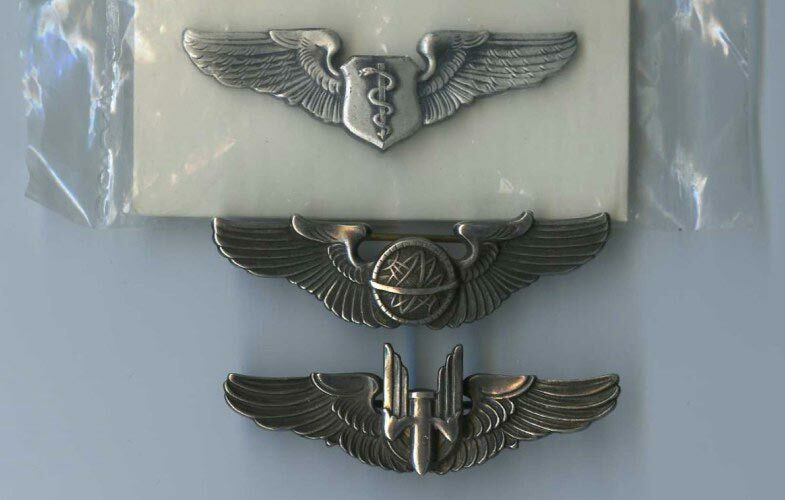 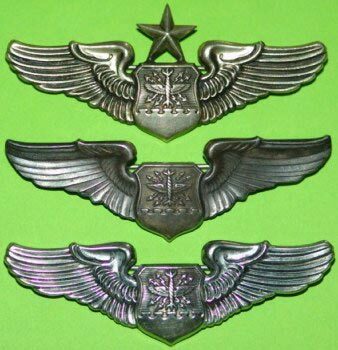 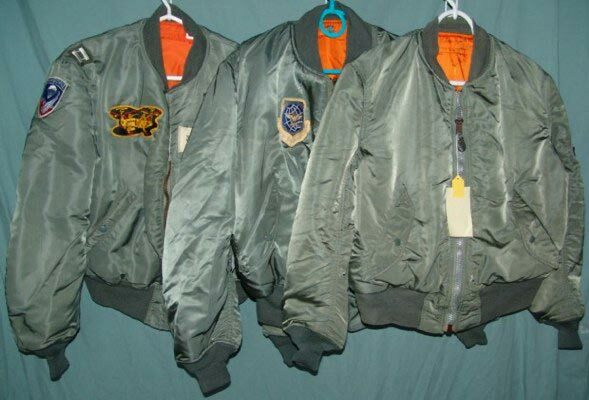 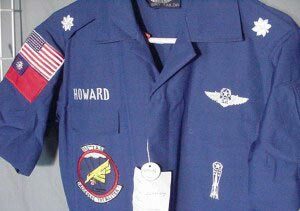 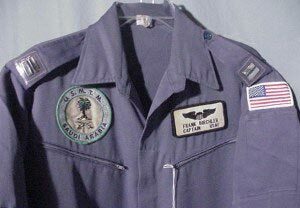 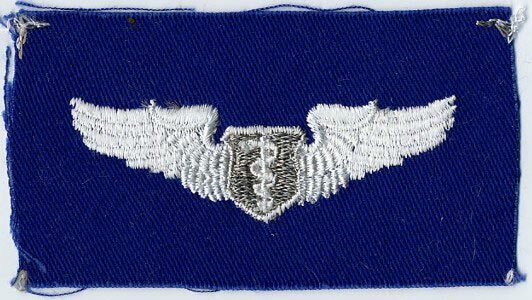 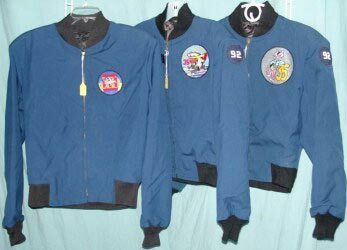 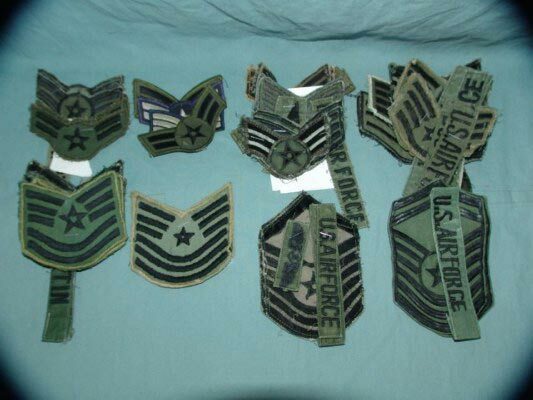 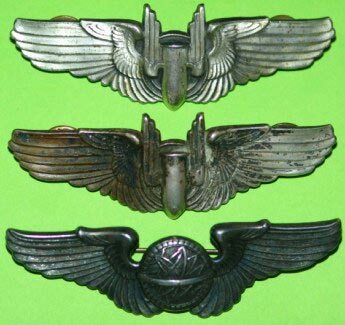 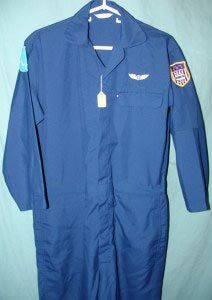 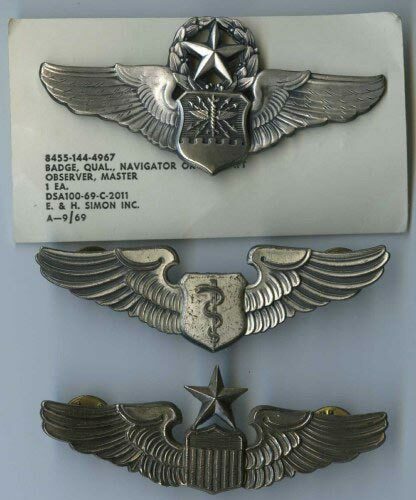 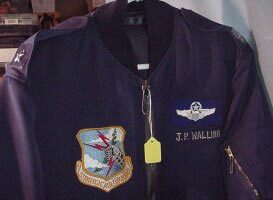 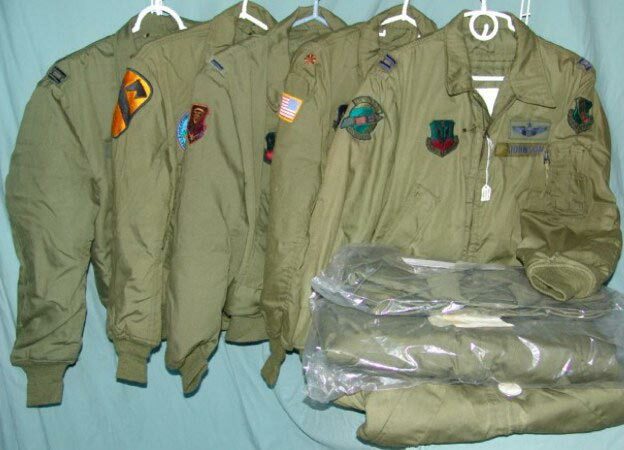 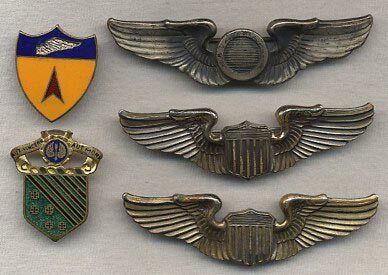 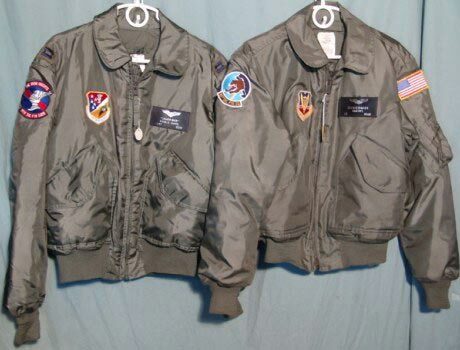 Badges & Rank Flight Crew Badges/Wings Flying Jackets, Caps, etc. 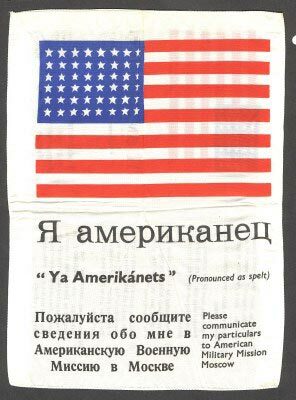 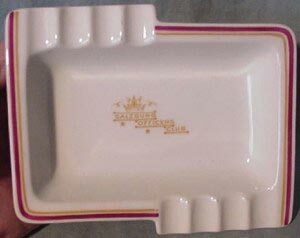 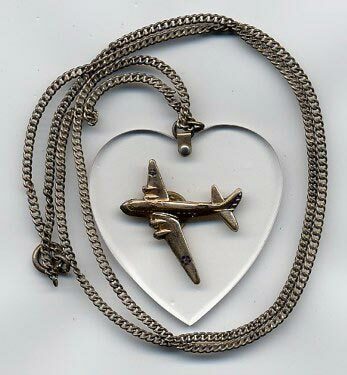 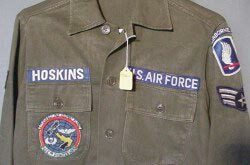 Souvenirs, "Bringbacks", and etc. 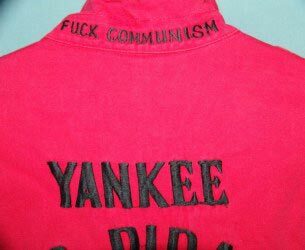 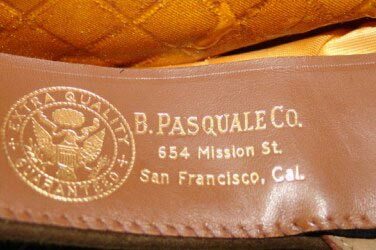 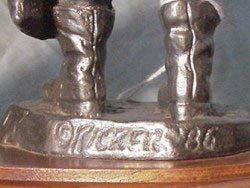 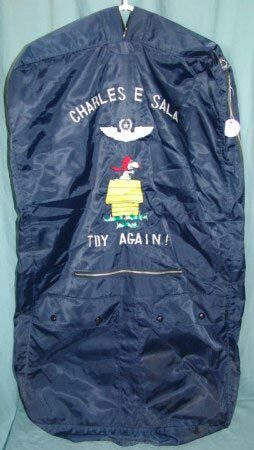 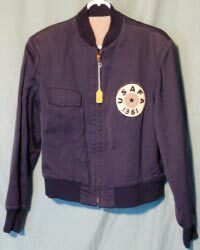 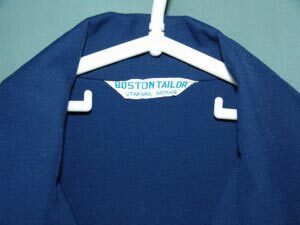 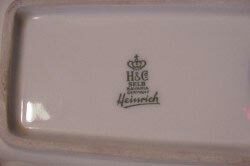 This is the first mention that the nice people of Czechoslovakia made the jackets - always before I had only heard they were made in France. 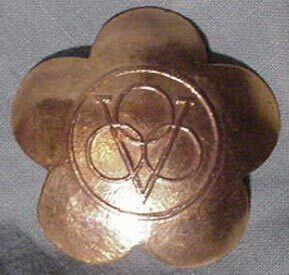 "hollowed-out coin", maybe for a compass or ? 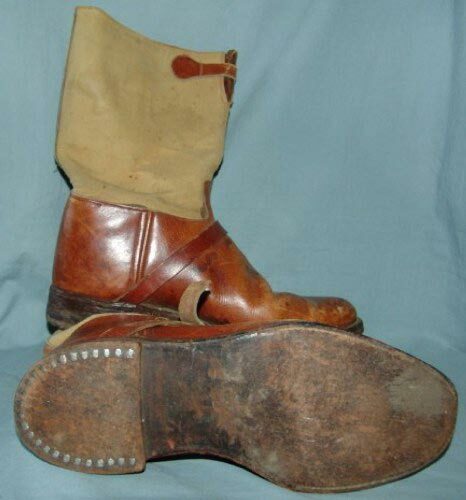 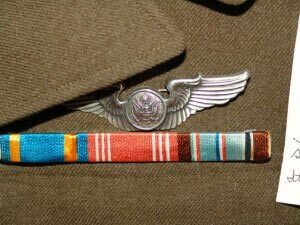 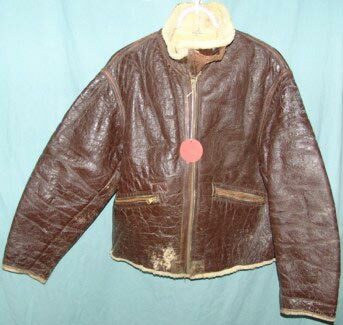 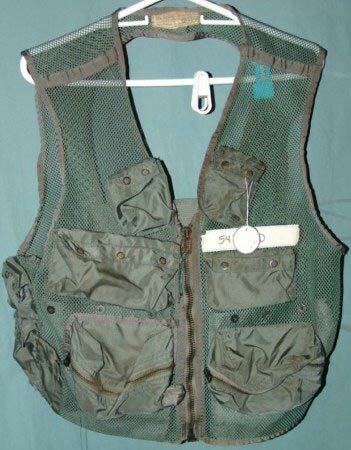 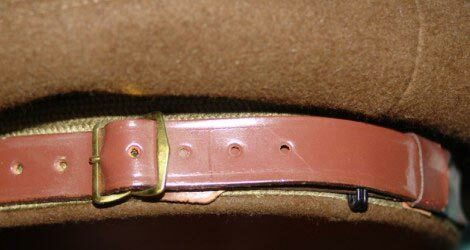 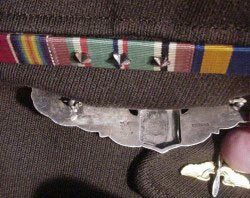 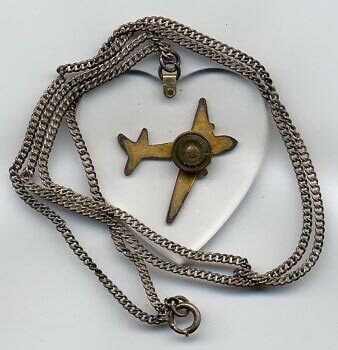 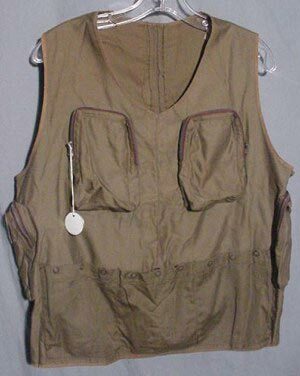 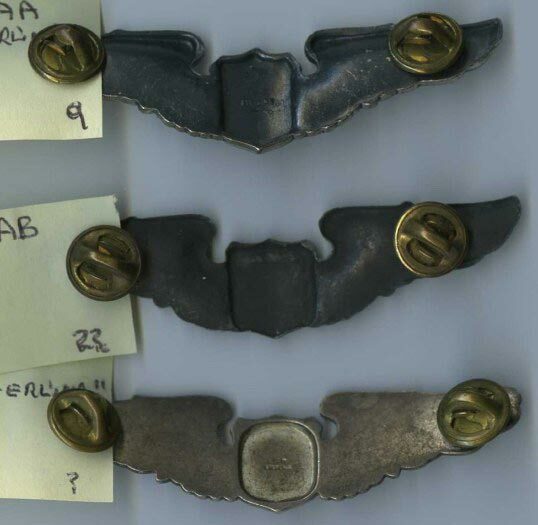 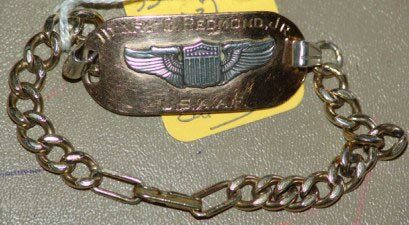 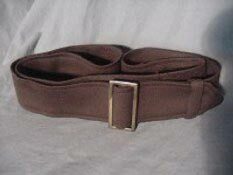 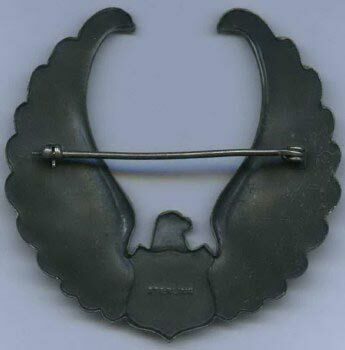 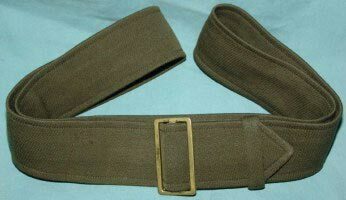 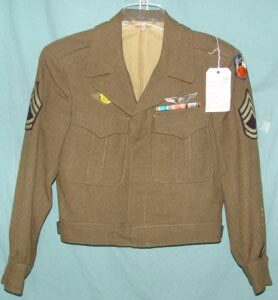 USAAF Aerial Gunner's 4-pkt - early-model that the brass belt holders were removed. 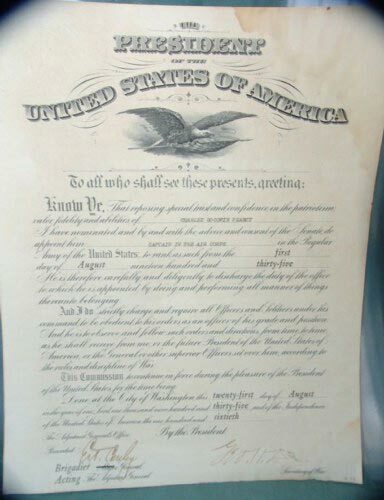 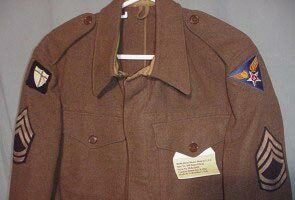 Red Cross Flop House "Bed" Tickets dated November 1944 were found in pocket; also "used" Transportation tickets. 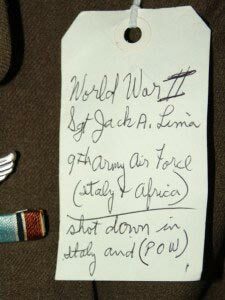 I believe he may have been stationed in South West England as one ticket has Chippenham written on it. 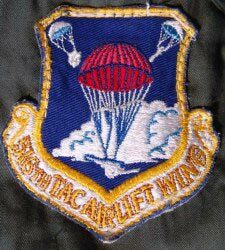 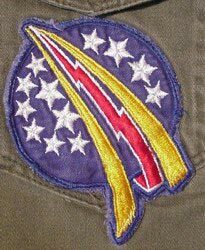 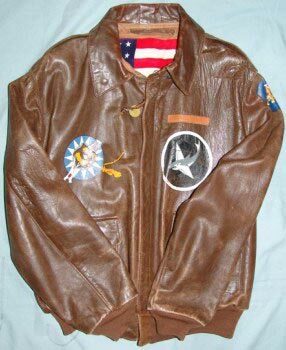 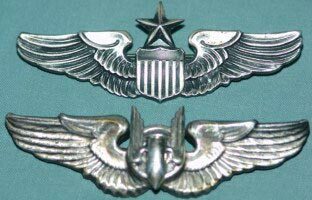 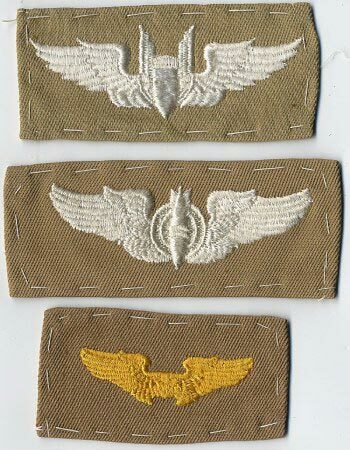 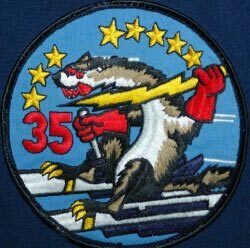 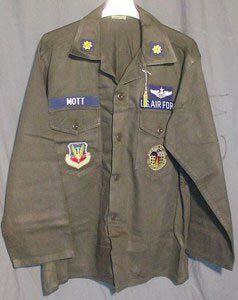 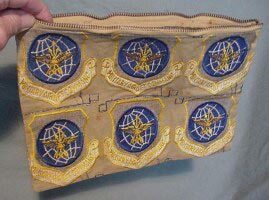 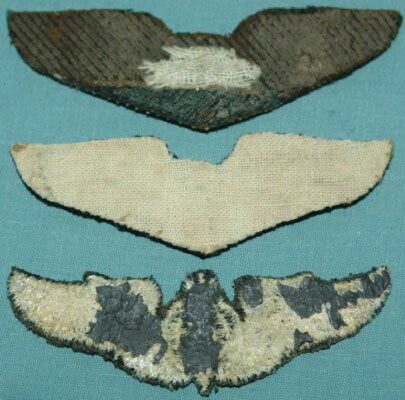 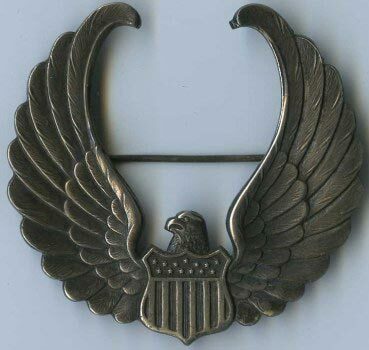 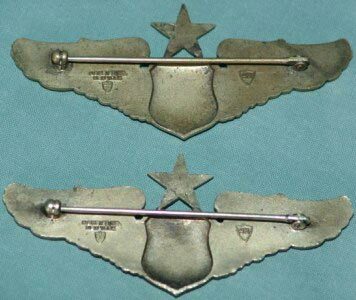 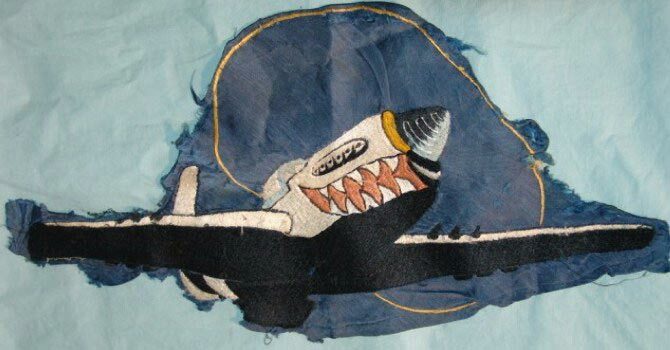 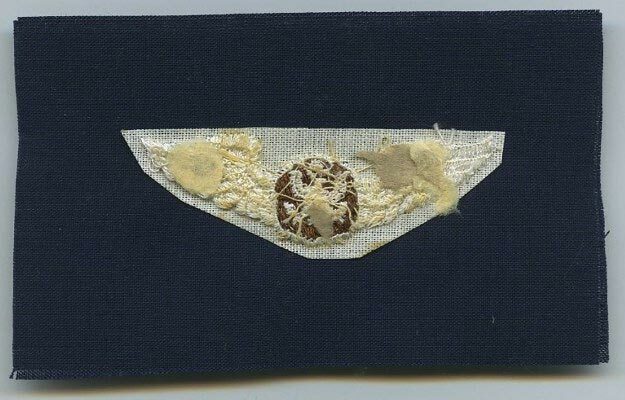 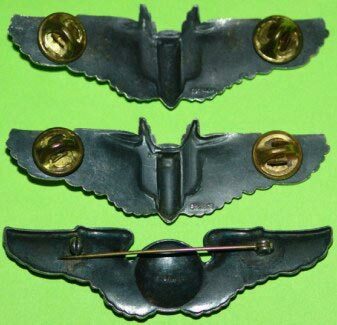 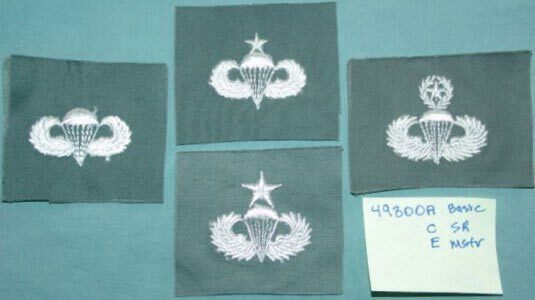 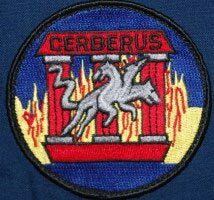 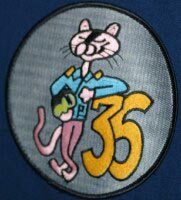 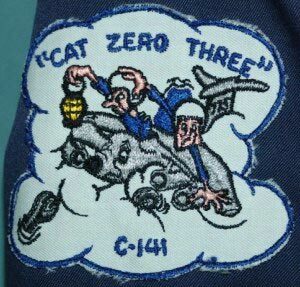 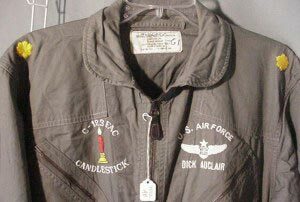 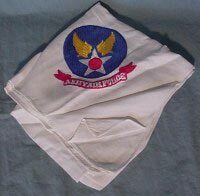 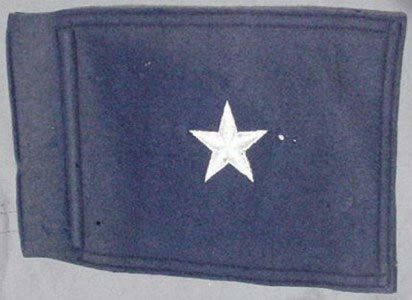 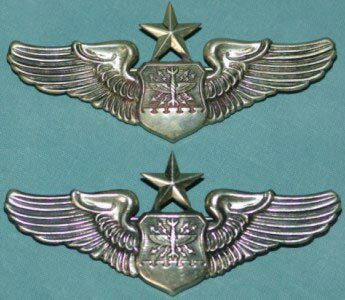 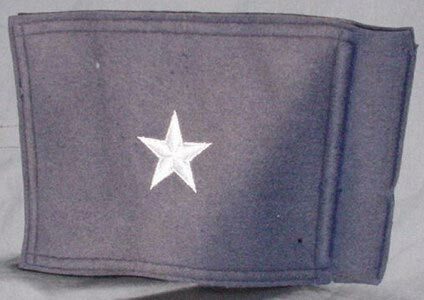 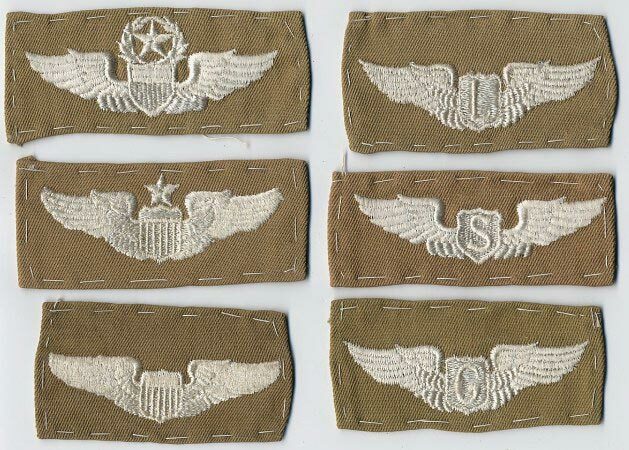 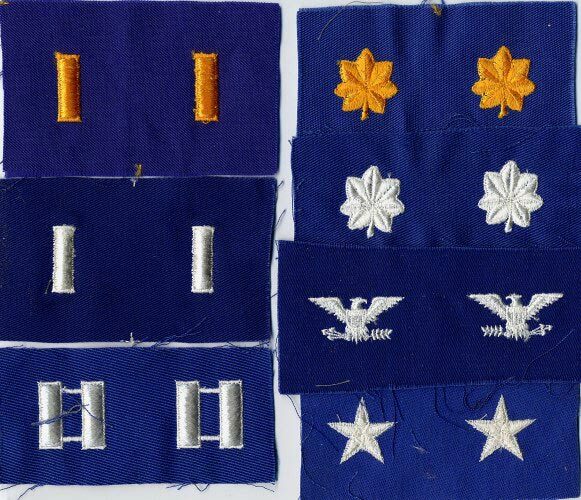 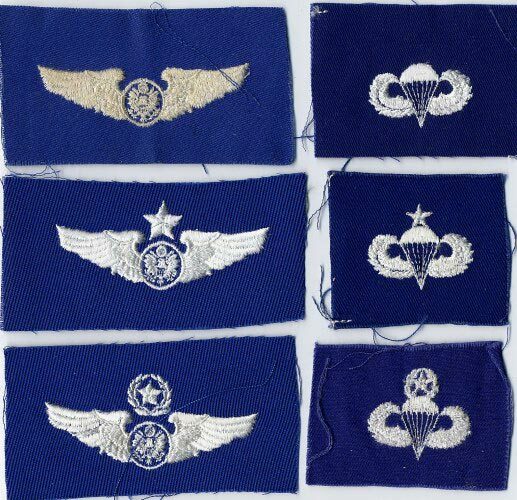 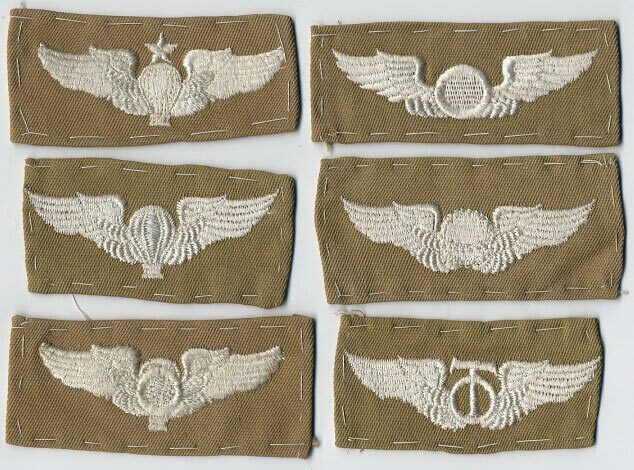 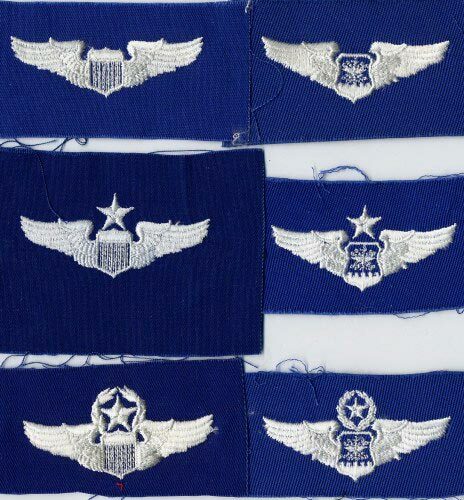 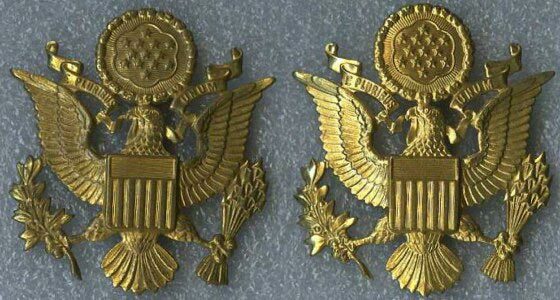 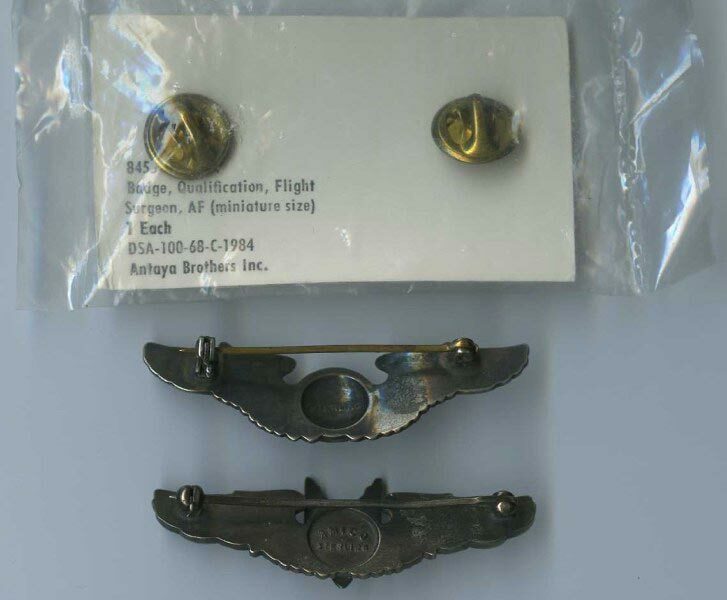 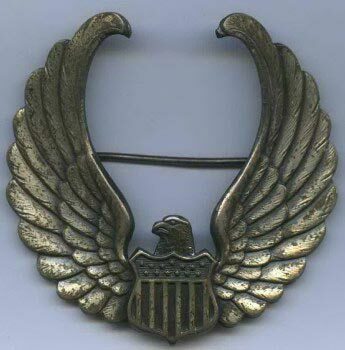 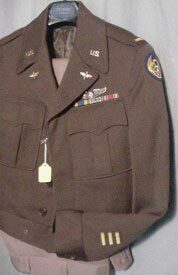 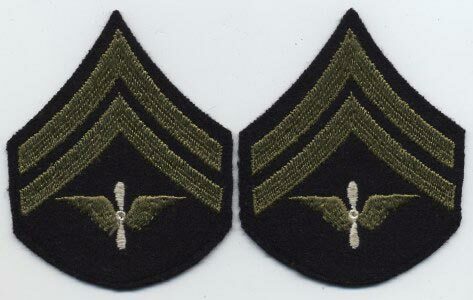 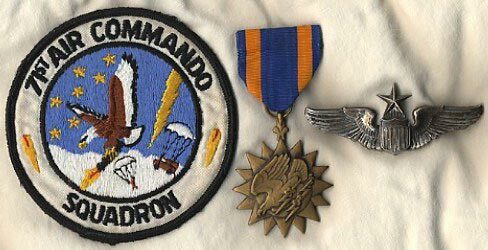 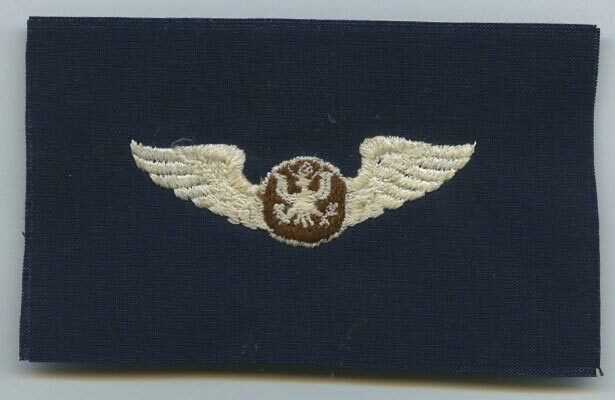 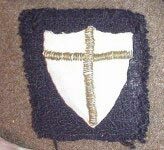 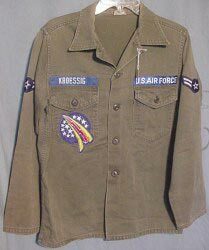 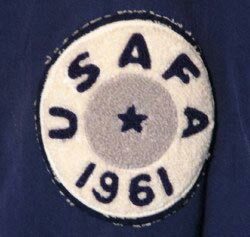 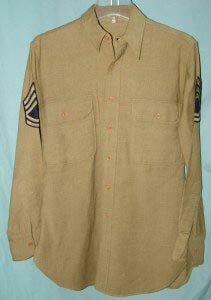 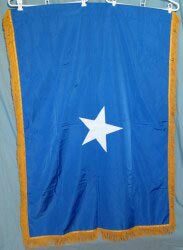 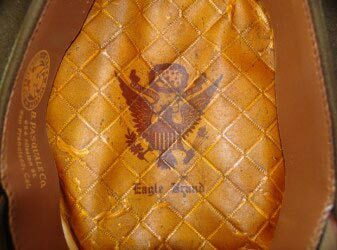 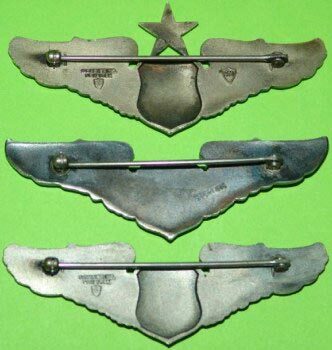 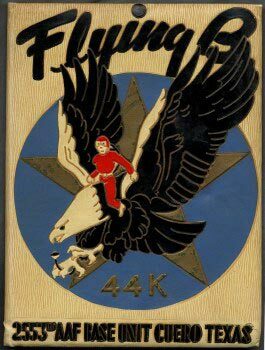 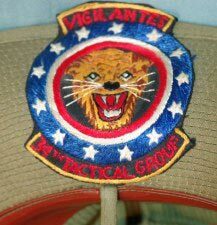 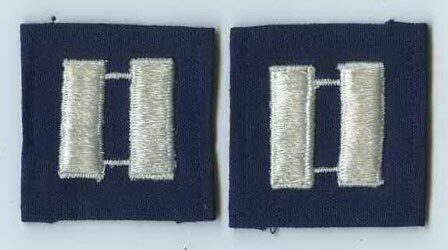 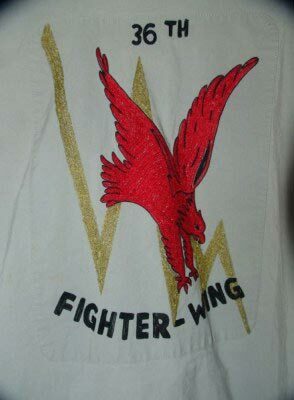 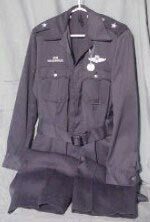 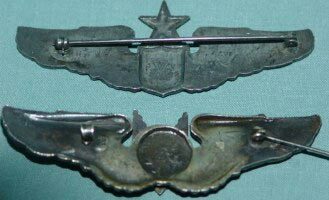 Armament Sleeve Badge and SSI are Bullion Thread; with extra black thread added to the USAAF Patch. 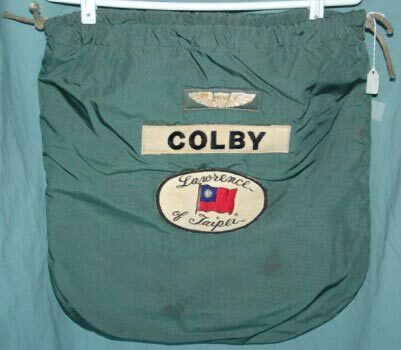 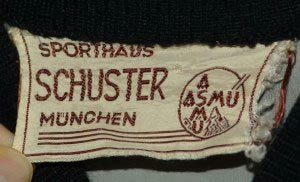 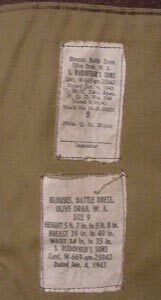 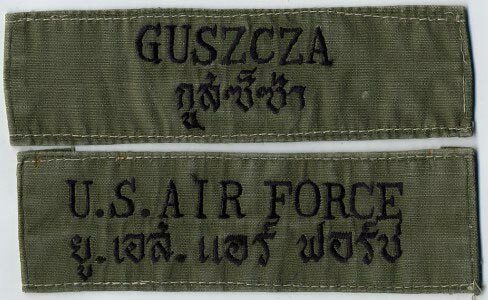 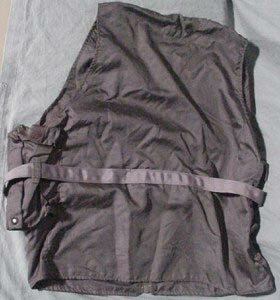 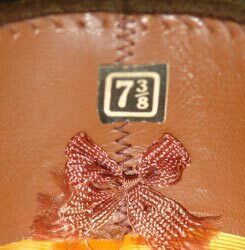 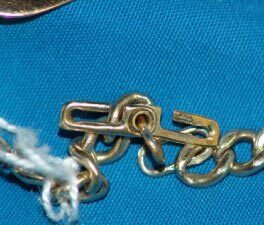 Two laundry/cleaning tags with his Name are stapled to the lining(one is visible in the top-two pictures). 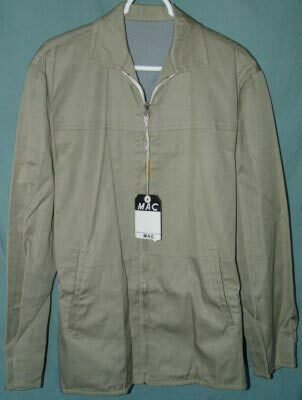 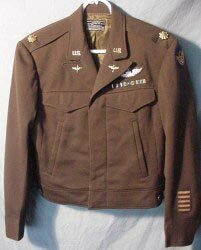 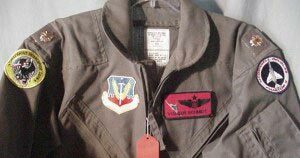 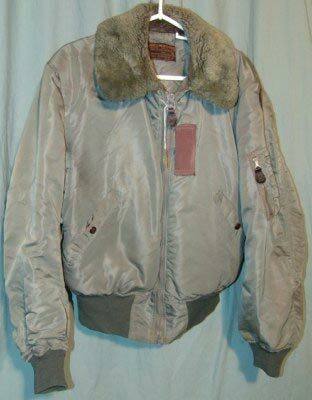 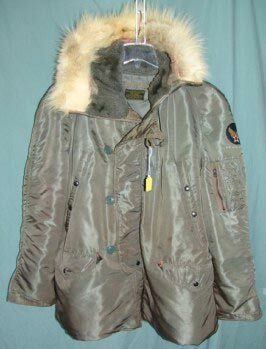 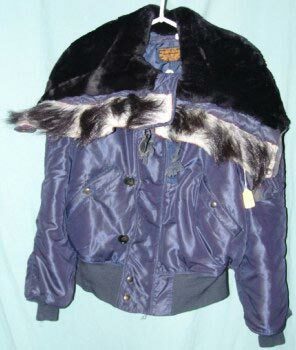 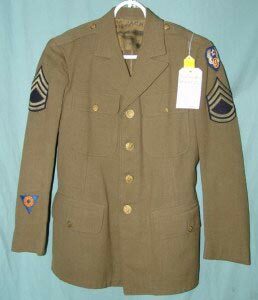 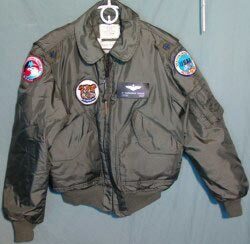 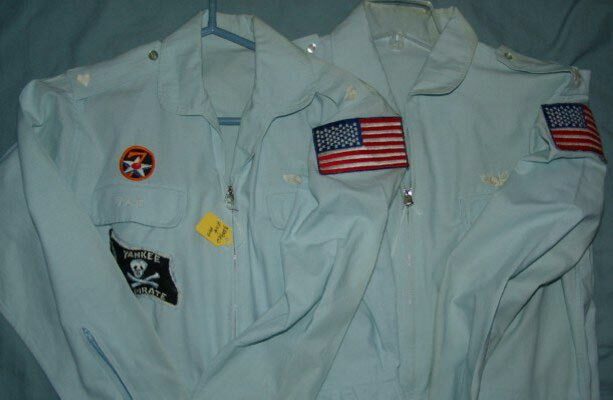 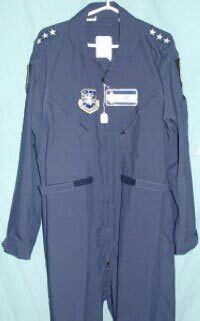 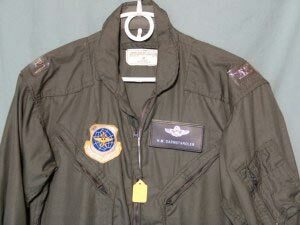 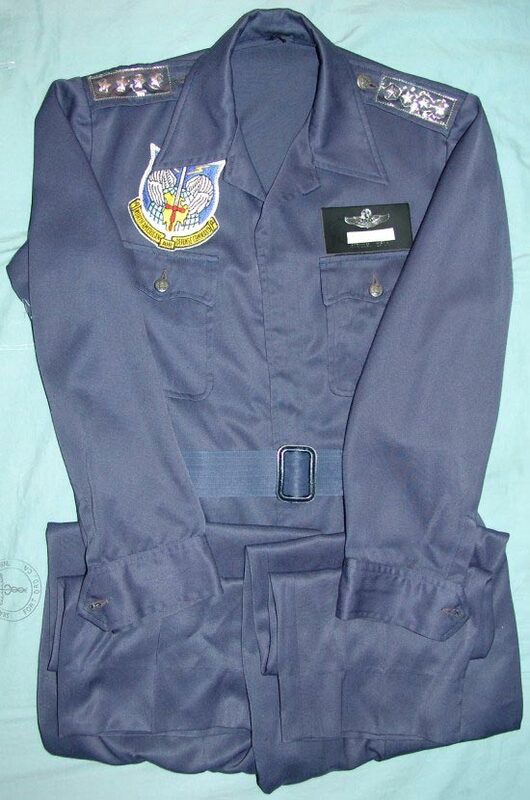 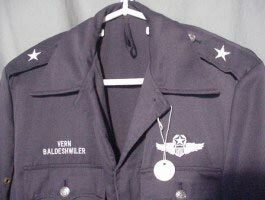 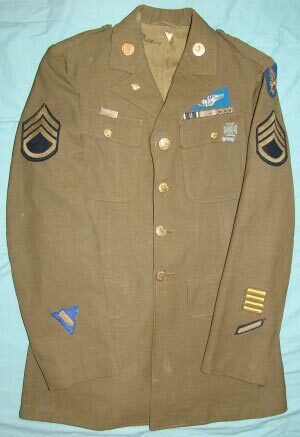 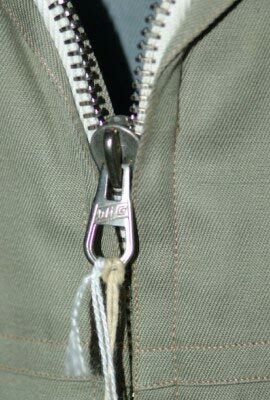 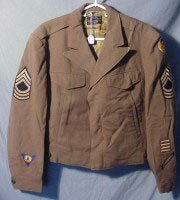 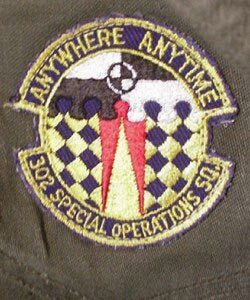 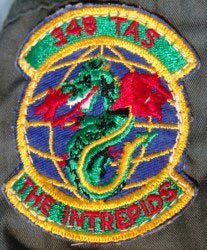 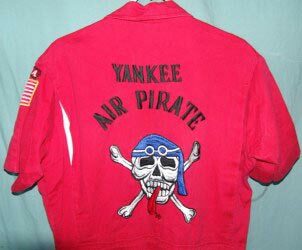 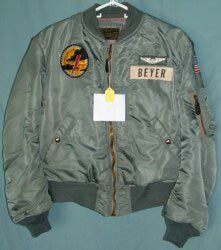 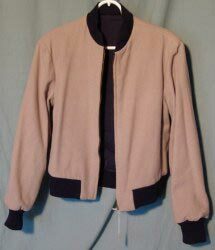 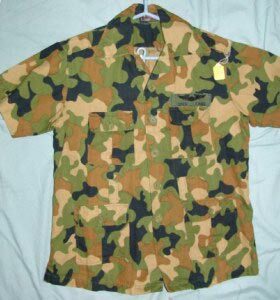 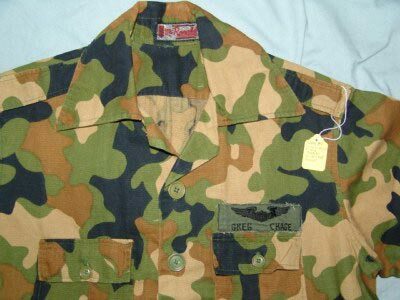 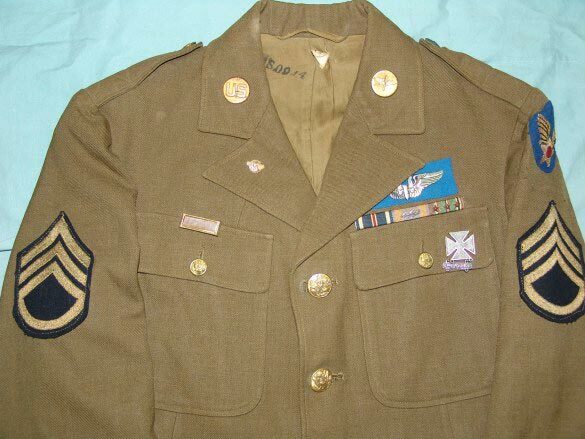 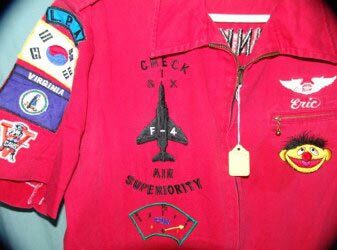 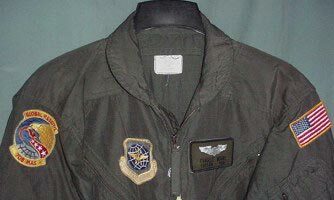 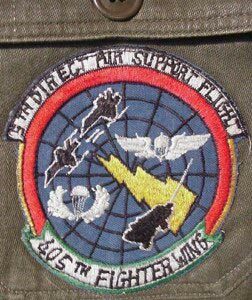 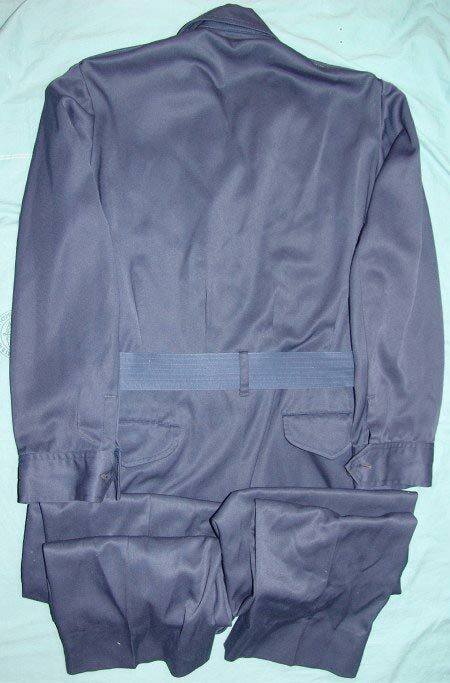 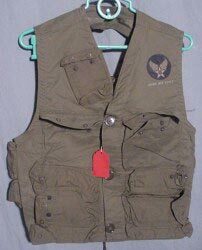 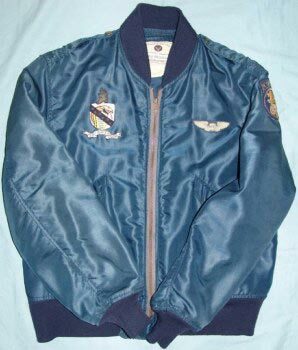 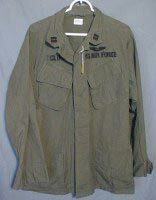 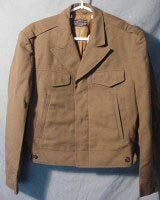 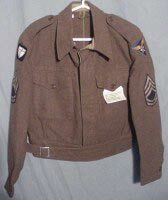 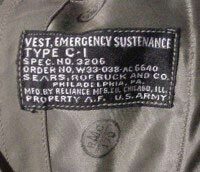 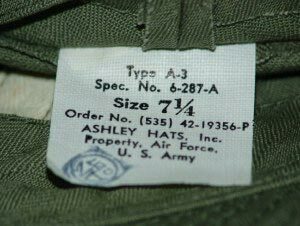 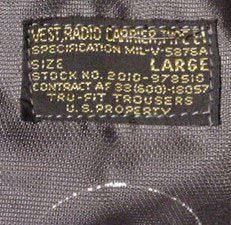 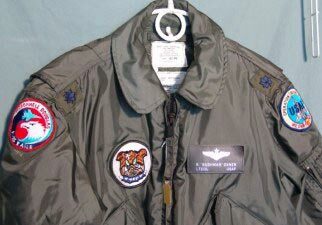 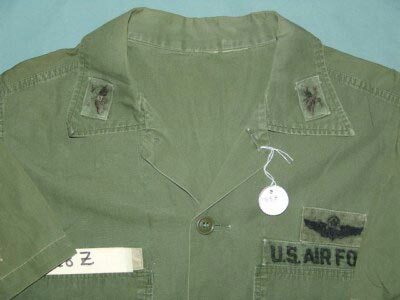 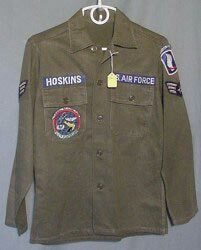 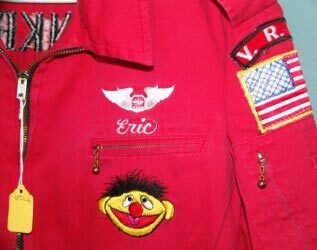 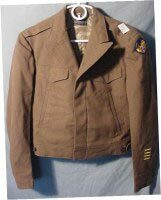 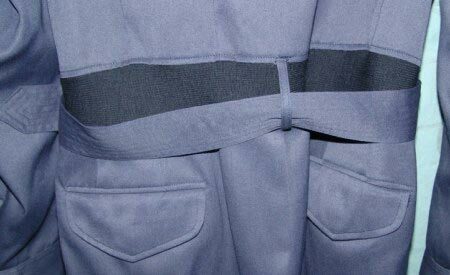 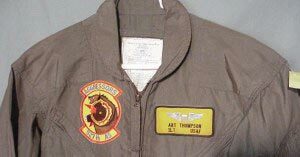 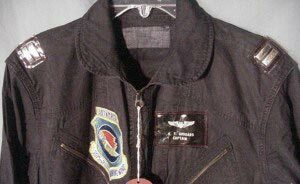 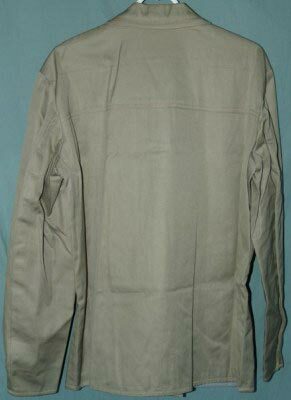 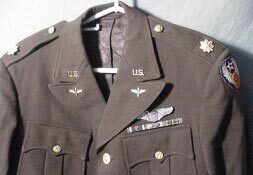 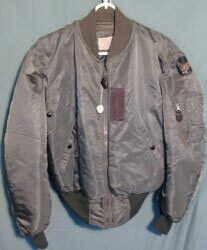 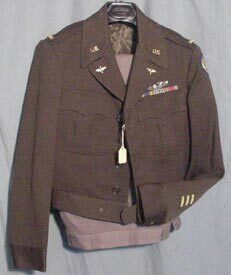 Jacket has had Corporal Stripes and a 8th or 9th AAF size SSI removed. 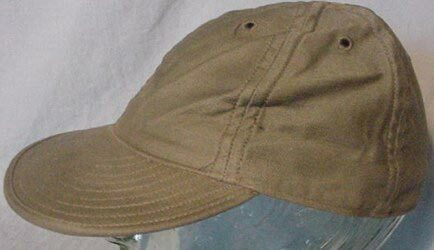 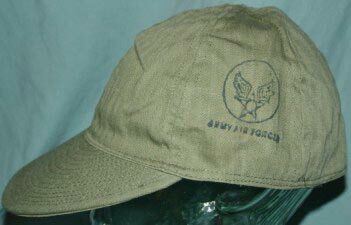 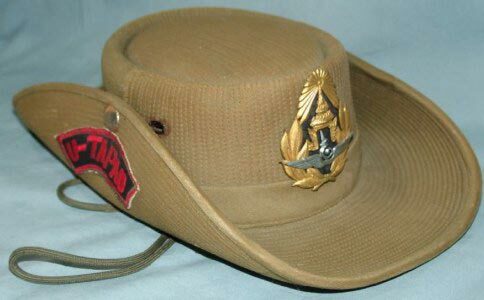 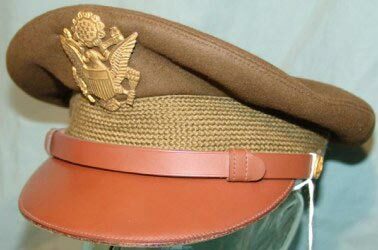 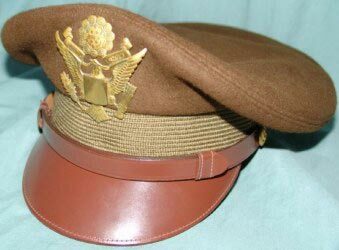 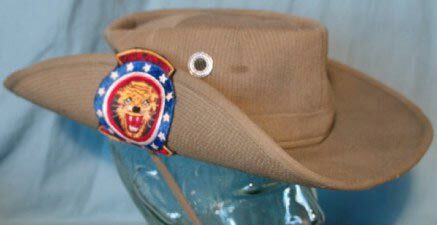 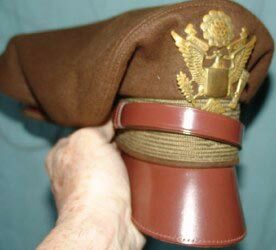 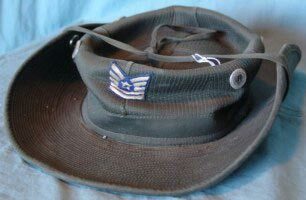 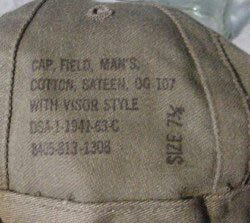 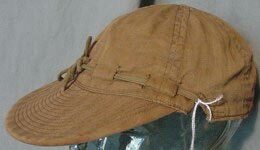 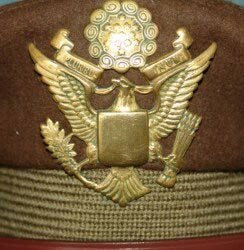 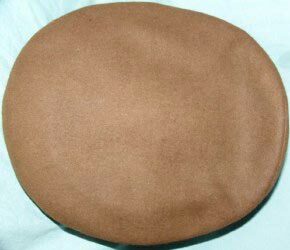 This is the Best Condition WWII era visored hat I have ever SEEN! 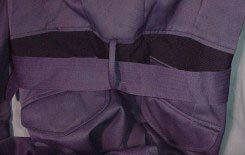 the Ike and the Shirt are close but the 4-Pocket is smaller! 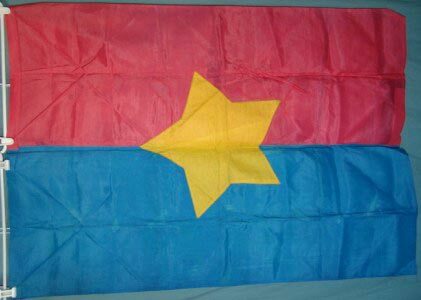 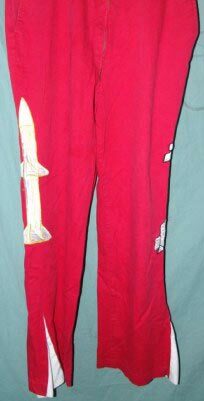 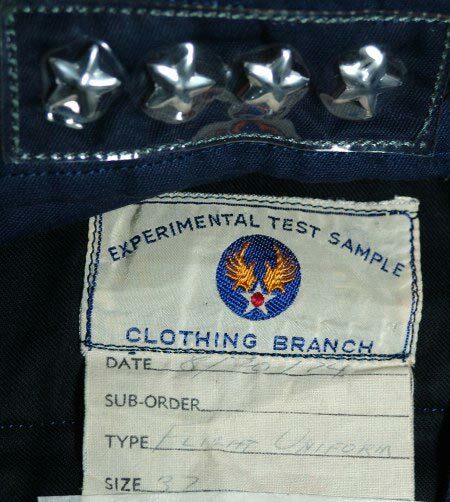 5501T - "SHUTTLE BLOOD CHIT"
Exceptional Condition - Best I have ever owned! 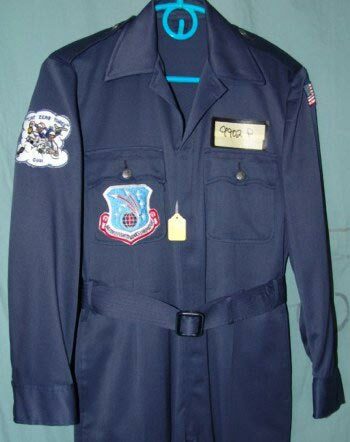 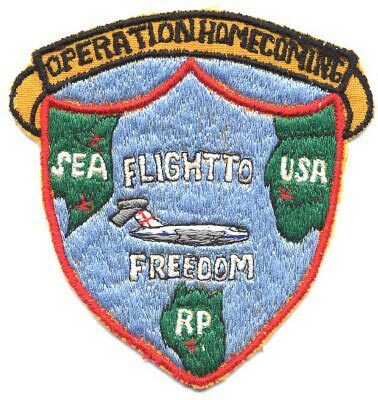 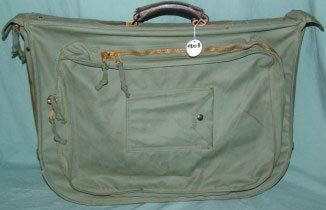 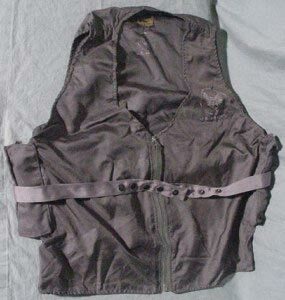 9592 - Badged, Party Suits, & etc. 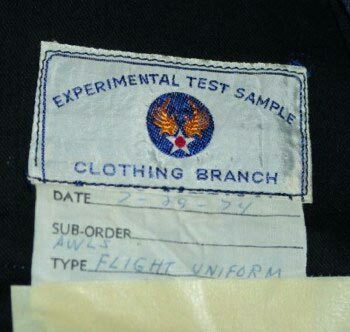 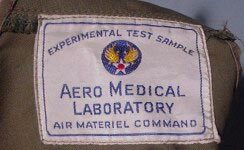 Woven label reads: "EXPERIMENTAL TEST SAMPLE"
Jackets, Party Suits, Patches, Boots, Caps, Gloves, Survival Maps & Kits, and etc. 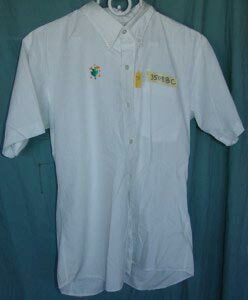 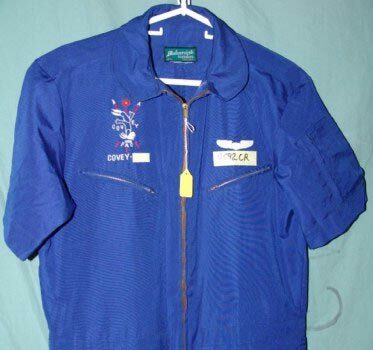 A shirt from the 12th ACS is Rare!